Things are heating up in the marketplace for double disc pumps and competition has a great way of exposing the true colors of competitors. Hearing what one double disc pump competitor says about another reinforces the need to do your homework so you are getting an accurate picture of the benefits and drawbacks of each make. Wastecorp has launched its Sludge Pro Double Disc Pump brand in several markets and we receive and document regular reports from our local double disc pump distributors as to who is saying what to consulting engineers and operators in the double disc pump marketplace. 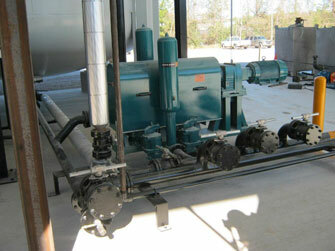 Does the Sludge Pro fit in the Same Area of Most WWTP’s a Penn Valley Double Disc Pump Would? The answer is absolutely yes. Of course if a competitor decides to try and have the engineering specification for the bid written around their product, the dimensions of the footprint area would be different. That’s common sense. Any engineer or operator knows that most WWTP`s are designed to accommodate lobe pumps, progressive cavity pumps, plunger pumps and double disc pumps: some of which have larger footprints than others. Is The Sludge Pro a Double Disc Pump, Single Disc Pump or Diaphragm Pump? The answer to this question is that all double disc pumps have diaphragm pump principles embedded within their design principles. Why does a Penn Valley or some Alfa Laval pumps have elastomers and or clacks within their designs? What do the patents of double disc pumps reveal about the history of their pumps? Why do some public bids include the term “double disc diaphragm pumps?” Why does a Sludge Pro double disc pump use an elastomer in its trunnion design? Again, while the double disc pump is more robust than many diaphragm pump makes, there are principles in their design derived from the diaphragm pump. Are Sludge Pro Double Disc Pumps Easy to Maintain? If you don`t like crawling underneath a pump to do maintenance and you don`t like disassembling half of a pump to release a blockage or change a component, neither do the engineers at Wastecorp. That`s why Wastecorp designed the Sludge Pro Double Disc Pump. We include a hydraulic jacking system to perform common maintenance functions. To access a blockage, all the operator has to do is release the valve cover and ball and inspect the area, remove the blockage and get back to business. There is also no regular maintenance required with a Sludge Pro Double Disc Pump. We call the Sludge Pro “the double disc pump with balls” for a reason. Finally, there is a more robust double disc pump option in the marketplace. Wastecorp is the manufacturer of Sludge Pro Double Disc Pumps. All other manufacturers mentioned for comparison purposes only. Wastecorp has no affiliation with Alfa Laval, Penn Valley Pump Company and any references are made for comparison purposes only. All trademarks are the property of their respective owners.